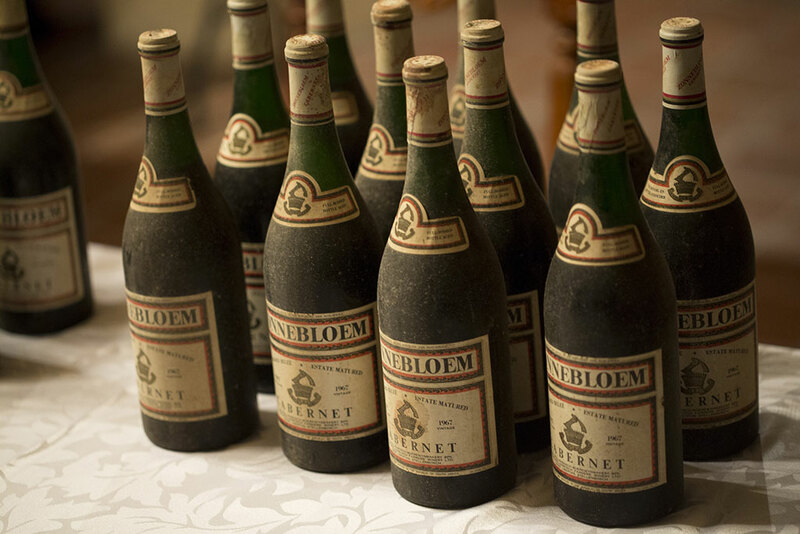 At this stage those present had to admit that most of the old wines were in extraordinary condition, the Zonnebloem Cabernet 1966 showing power and depth and the Oude Libertas 1971 Cinsaut fruit-driven, spicy and fresh. After such as time in the bottle, most of the levels of wine had dropped, so each bottle had to be topped-up from one of the opened bottles and a small amount of sulphur was added to freshen things up. Jean Vincent removing the old cork. And that was pretty much that. 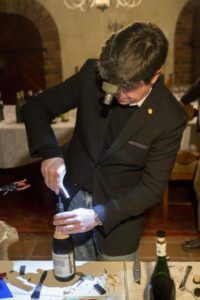 A small mobile corking machine was standing by to insert the brand new Amorim cork into each bottle, ensuring that the wines were given a second life, to be re-opened and enjoyed at a later stage. 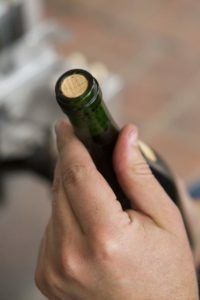 The short capsule over the top of the bottle allows the new cork, printed with the validation of recorking including place and date, to be visible to the owner of the wine and prospective buyers so as to prevent counterfeiting. What’s more, each re-corked bottle features a hologram sticker with a unique alpha-numeric code for tracing authenticity to the Amorim website, with the cork also showing a tracking code. This ensures that whoever is the owner of the recorked bottle can trace the recorking authenticity. The first commercial recorking will take place in October when Kanonkop Estate offers this service to its clients in Johannesburg, in association with Amorim. 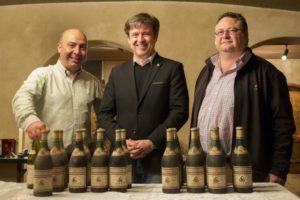 And now that the horse has bolted with recorking being available and the wealth of old wines in South African cellars, we are going to see a lot more wines getting a new lease on life through the magical powers of a new cork.